They are what make it uniquely you, a design statement that puts a smile on your face every time you see it. At KSW Homes we have an extensive range of benchtops, splashbacks, doors and handles to suit any requirement. We have very broad product knowledge and we can show you all the latest trends in finishes, and give you our advice on the right materials to suit your style and your budget. Nothing shouts kitchen style and elegance quite like the benchtop you choose. It’s a major design decision and that’s why we show you how your chosen benchtop will look when we give you our 3D concept design. There are loads of choices available depending on your style and budget. Engineered stone is a very popular choice, giving you the look of stone but without the high cost of natural stone. Stones such as marble, granite and engineered stone are known for their opulence and uniqueness. 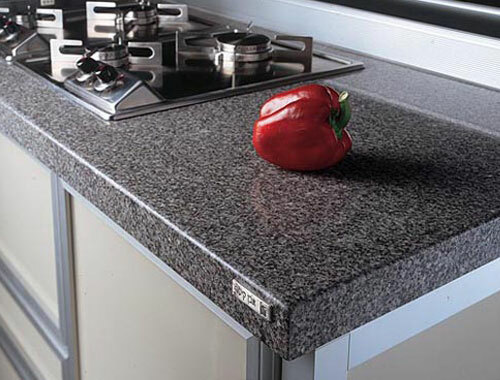 Offering more than just good looks, stone is also durable, practical solution for your kitchen. Stone is tough, long lasting and quality is the most obvious benefit. Timber never really goes out of style and like natural stone it’s a one-off, natural product. As with stone, it should be coated with a protective sealer a few times each year to stop spills absorbing into the wood. Corian is a material manufactured from a mix of natural minerals and acrylic resin, and it comes in a wide range of colours. It’s very durable and can be moulded into virtually any shape, so it’s a great, cost effective option if your kitchen features curves. 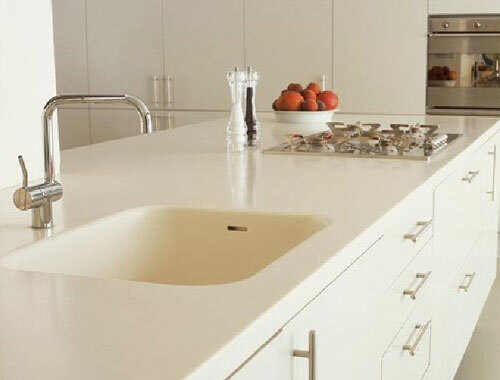 You can even mould your sink into the benchtop so so don’t need to buy a separate sink. Laminates are the most budget friendly option, and come in a wide range of colours and patterns. 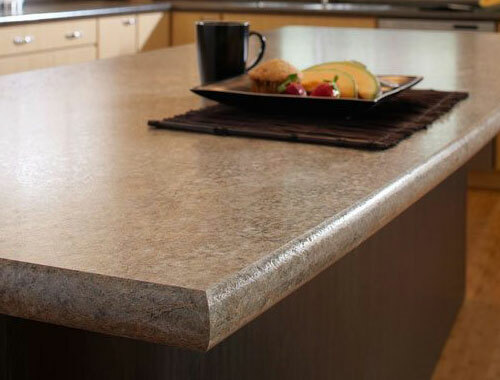 These days, laminates can successfully imitate popular materials such as granite and marble, at a fraction of the cost. Your splashback may be simple but it’s often the one design aspect that ties your whole kitchen look together. Splashbacks come in a range of materials, including glass, tiles, pressed metal and stainless steel. For a traditional look, we recommend tiles or pressed metal, but if you want to go contemporary and streamlined, then you can’t go past glass. Whatever you choose, keep in mind how easy it will (or won’t) be to keep your splashback clean. Mosaic tiles may look great but there will be a lot of grout to clean, whereas a glass splashback usually just needs a quick wipe over. 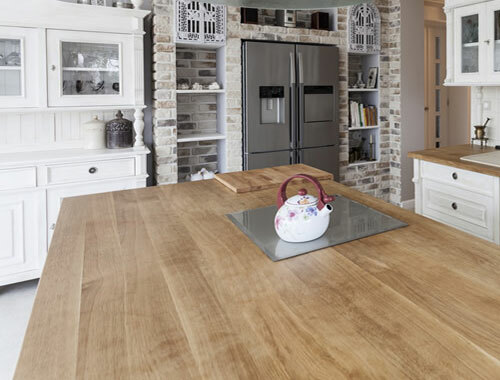 If you want to keep your look consistent, you can even use the same material as your benchtop for your splashback, although we don’t recommend you do this if your benchtop is timber or laminate. Colour is an important aspect of any splashback choice. If you want your benchtop to be the star in the kitchen, opt for a subtle colour for your splashback that won’t draw the eye away from the benchtop. If on the other hand, you’re looking for a real statement piece, then go for bold colour to add some drama and a focal point for the kitchen. Whether the look you’re going for is sleek and modern, contemporary rustic, industrial or something in between, we have a range of innovative designs, colours and materials to suite your style and your budget. From gloss to matt we can fit your new kitchen with cupboard and pantry doors that complement the overall look you’re going for. We can source a wide range of appliances and accessories for you at excellent prices.